As you know, the fault of Apple's new maps have become a hot topic in recent weeks. Tim Cook, Apple CEO responds to such failures through an official letter posted on Apple's website. Here we offer the complete letter translated into Spanish. At Apple, we strive to produce world-class products that offer the best possible experience for our customers. With the launch of our new maps last week, we did not meet our commitment. We sincerely apologize for the frustration this has caused to our customers and we are making every effort to improve them. Initially, the maps published with the first version of iOS. Over time, we wanted to provide our customers with even better maps, including features like step by step directions, voice integration, the aerial view and the vector-based maps. To achieve this, we had to create a new version of the maps from scratch. Already more than 100 million iOS devices using Apple's new maps, with more and more users joining every day. 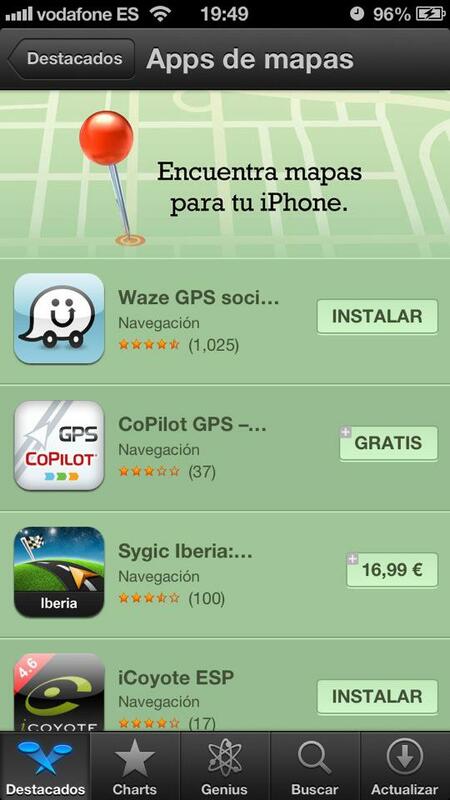 In just one week, users of iOS with new maps and searched for about five hundred million locations. The more customers use our maps, the better, and greatly appreciate each and every one of the comments we have received from you. While improving the maps, can try downloading alternatives other map applications from the App Store as Bing, MapQuest or Waze, or use Google Maps or Nokia through its website and create an icon on your home screen to the application web. Everything we do in Apple aims to make our products the best in the world. We know you expect that from us, and we will work non-stop until they reach that standard maps incredibly high. As you can see, Tim Cook apologized for the failures and acknowledge to be working on it to improve. But also proposes alternatives while improving the new maps: Google maps view or Nokia through its website, or download other maps official applications from the App Store (with own outstanding category). In case you are interested in one, I include below links.